Offering more flexibility in terms of comfort, concealment and adjustability, all DeSantis Thumb Break Scabbard Belt Holsters features either two or three belt slots. The number of slots is dependent upon the model of weapon the holster is purchased for. 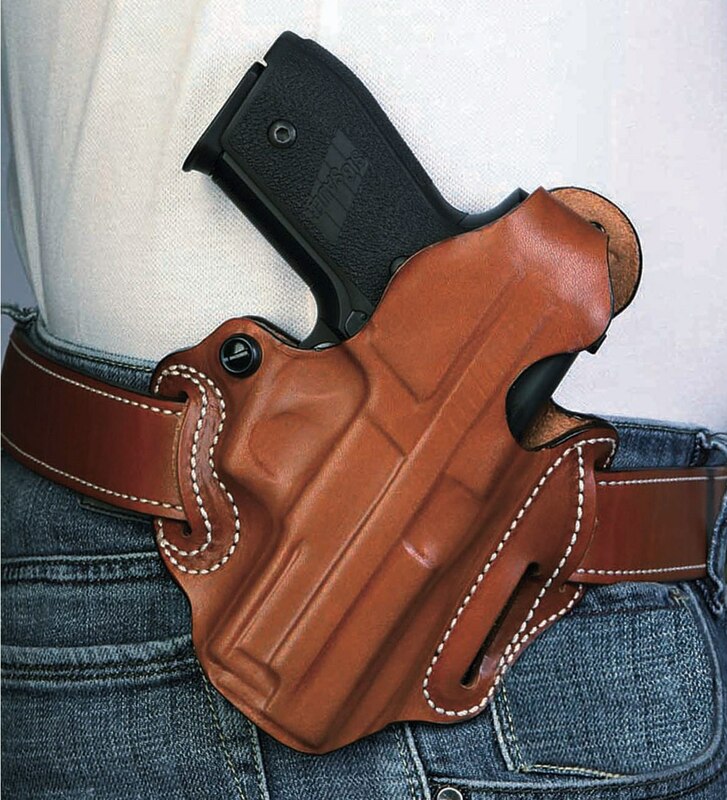 This expertly crafted holster is the product of years of design, using the suggestions of hundreds of law-enforcement officers who have had to live with just about every type of holster made. 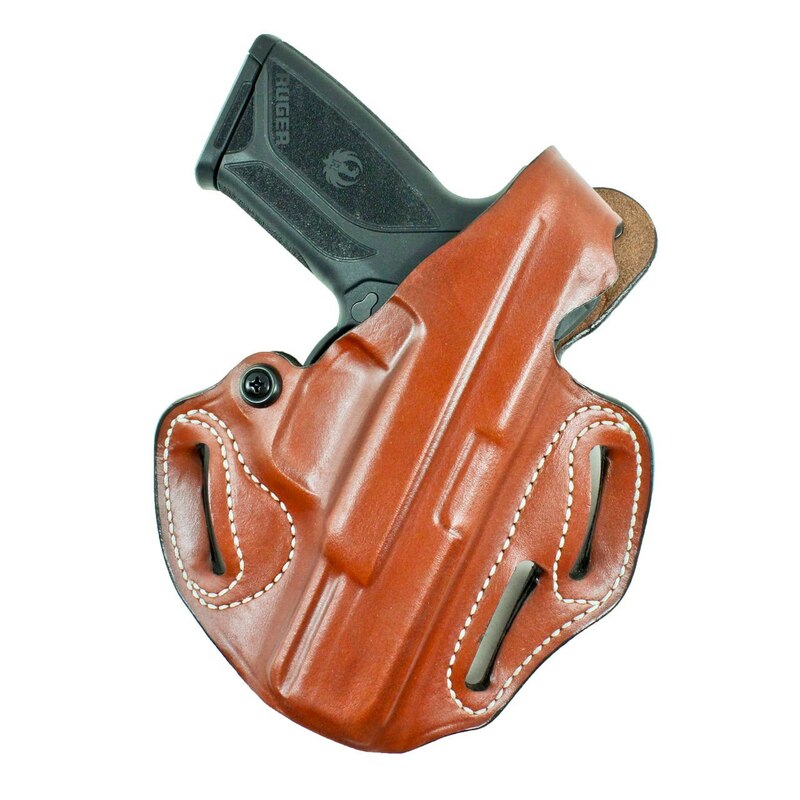 In this holster, the weapon rides high and at an angle designed to present your firearm at an optimal draw angle, which makes the weapon readily available. Due to its thumb break release and molding for the exact weapon it is designed to carry, it stays secure and highly concealable. The Thumb Break Holster is double stitched with bonded nylon cord and is available for most popular law-enforcement weapons, to include many other handguns. This picture illustrates the three-slot model, Belt slots are 1 3/4" wide.